Only FOUR ingredients in this simple dessert. You’re going to love how easy these are to make. No flour, no eggs and no butter. 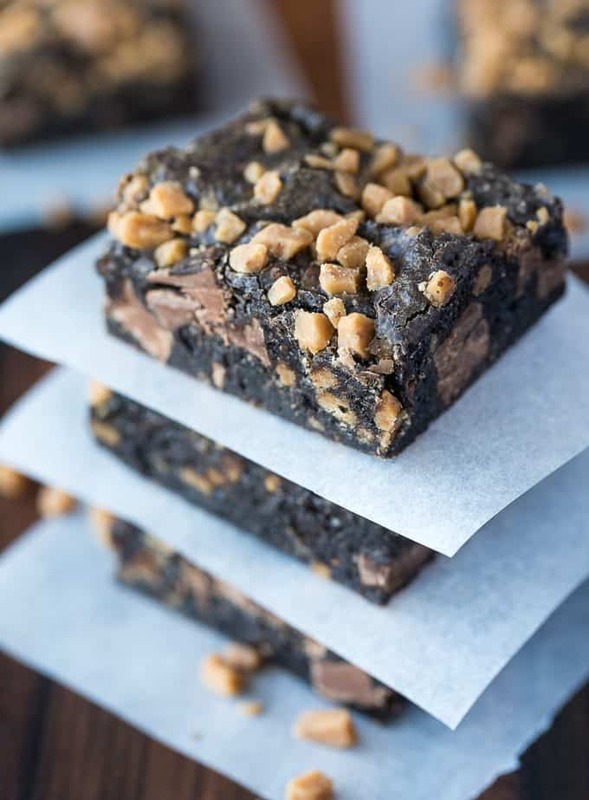 Just Oreo cookie crumbs, chocolate chips, toffee bits and sweetened condensed milk to bind it all together. They are chewy, sweet and so addicting! I learned recently that you can make a ton of different types of desserts with sweetened condensed milk. Switch out the ingredients and experiment with different flavours and textures. It’s fun to do! I’ve made them with graham cracker crumbs too. Other ideas are crushed sugar cookies or maybe even crushed chocolate chip cookies? I bet those would be good too. These Chocolate Chewy Bars did not last in my home. Can’t say I was surprised since sweets never last long here. Only four ingredients in these simple, sweet bars. You’ll love how good they taste and easy they are to make! Preheat oven to 350F. Grease a 9 inch square pan with cooking spray. In a large bowl, stir together Oreo cookie crumbs and sweetened condensed milk. Mix in Skor toffee bits and milk chocolate chips. Spread into prepared pan. Sprinkle with extra Skor toffee bits, if desired. Bake for 25 minutes. Let cool completely before cutting into squares. They sound really good, another good one to try out for the holiday trays. 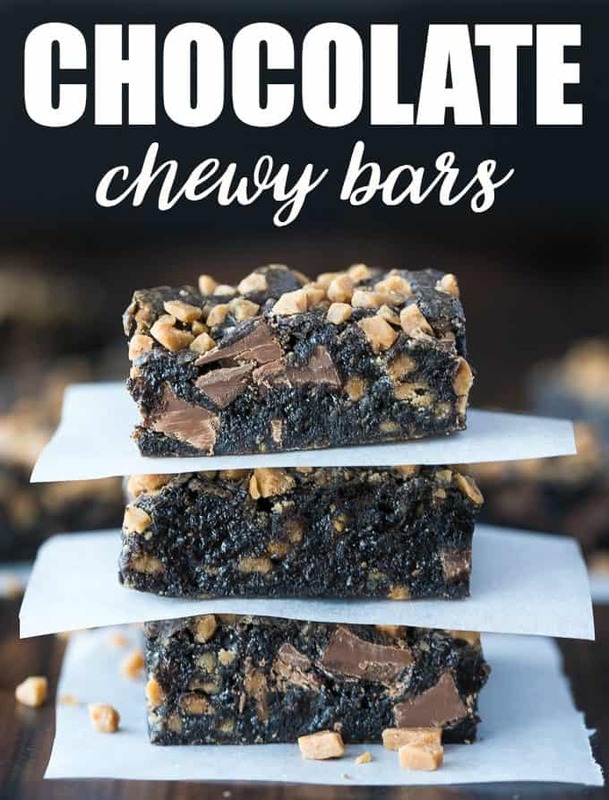 I love these Chocolate Chewy bars. They look so delicious and a good treat to make and serve over the Holidays! Oh I think my husband just died a little lol.. pinned because he’s loving these! 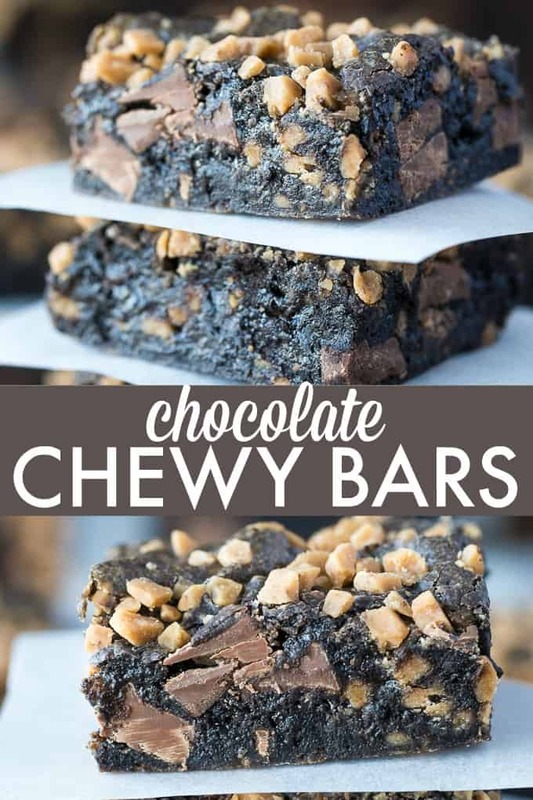 Chocolate Chewy bars sure look delicious ! These look divine and ridiculously easy; perfect for the Christmas season when guests drop in. Thanks! These sound so yummy. Another recipe to try! You post the best sounding recipes. These looks amazing. These look so yummy! 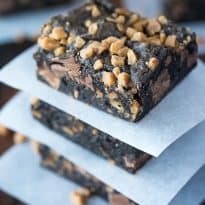 I love squares and these sound so easy to make!! You had me hooked at no-bake, but obsessed with the rest. These look like a combination of the world’s most delicious chocolate things. My mouth is watering already!! Looks delicious, I just added to my Recipe Box Thx! They look delicious! 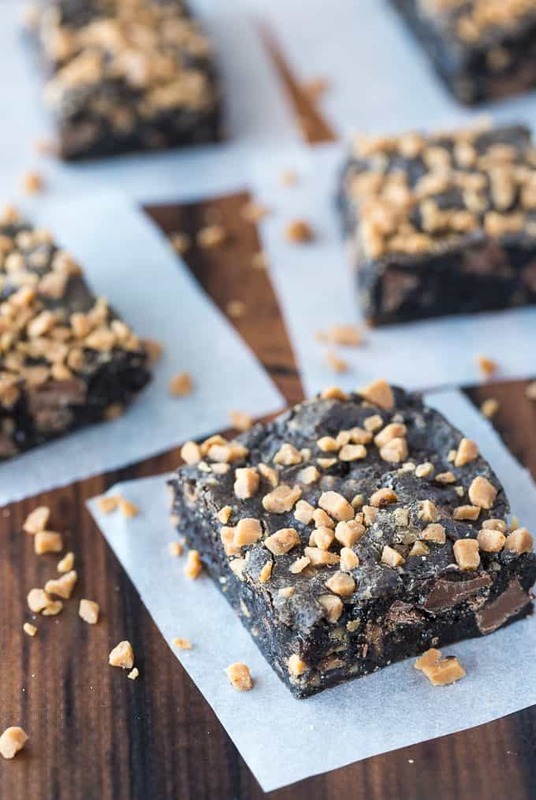 Chocolate and nuts are a made-for-each-other pair! Oh my goodness!! These look simply amazing. Like heaven in my mouth!! 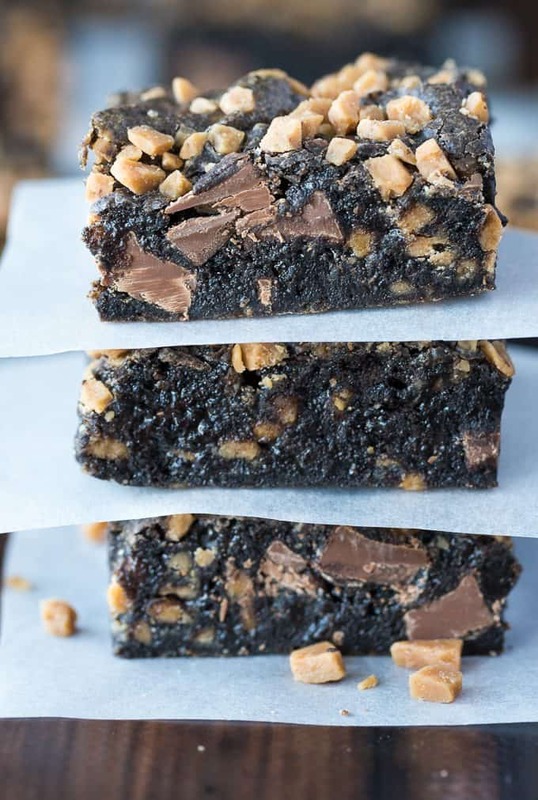 This recipe for Chocolate Chewy Bars sounds like a delicious chocolate bar. I have saved the recipe and will make it for my great grandchildren to see how much they will enjoy it. Thank you for this recipe. This recipe is simple, delicious and mouth-watering. I have saved it for later use. Thank you so much for this scrumptious recipe.